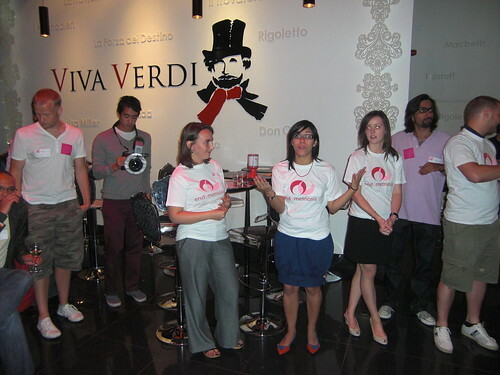 Aperitweat is a twitter meet up with a difference. 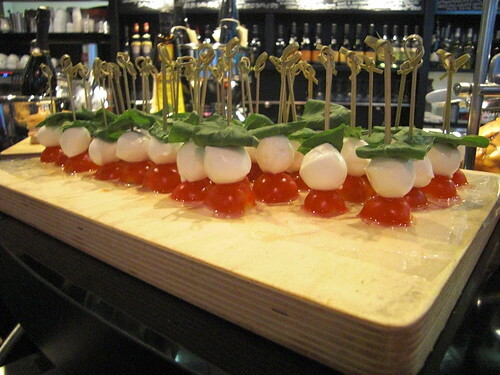 Originating from Italy, aperitivo is essentially pre-dinner drinks with a few nibbles, designed to open up the palate. 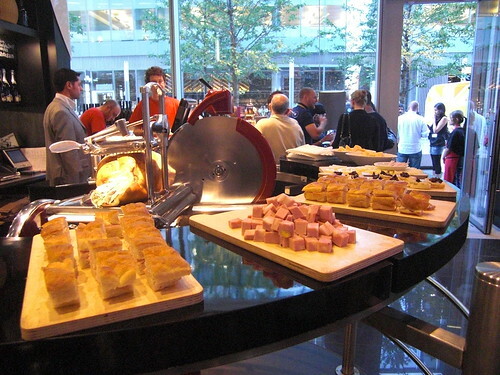 So was born Aperitweat, an opportunity for tweeple to meet in real life and enjoy a few drinks and nibbles. Previously based at Al Volo in the heart of Brick Lane, for 3.0 we relocated to the South Bank and a wine bar called Viva Verdi. At the core of this lies a small group of devoted organisers. What do they get out of this? I am not sure other than a sense of satisfaction. With Aperitivo being fundamentally Italian, it's no surprise that a fair few of the organisers are too. Hats off to @gioias & @palmamod as well as dash of Irish in @niamhhughes. So you can't have Aperitivo without food. And there was plenty. There were bowls of pasta salad, lots of little balls of mozzarella on cocktail sticks, mini sandwiches containing various types of ham (my favourite being the mortadella), lots of cheese (including huge hunks of parmesan) and little bruschetta things. Really descriptive aren't I? Well, the event in my eyes wasn't about the food. It was about meeting people and tonight, it was also about raising awareness for endometriosis, a chronic debilitating condition affecting around 2 million women in the UK. The evening was informative, fun and any money raised through the raffle was going to a good cause too. All in all, it was a thoroughly enjoyable night. I got to meet more people that I talk to over twitter and even bumped into a few who aren't. Some I had even originally first met in real life. Crazy, I know. Even though one of the co-founders is heading to the Big Apple, I'm sure that these events will carry on. Anything that brings people together has got to be a good thing, right?